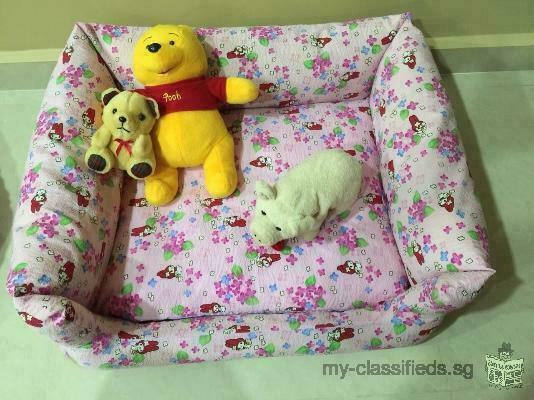 New medium dog bed sofa for sales. Hi I have a new medium dog bed sofa for sales. It fit perfectly for small and medium size dog and the outer layer can be removed for washing too. The measurement for this bed sofa is 60cmX50cmx21cm. Interested parties can SMS me or apps me for more details.